All Philadelphia Citizens' Committee for the Democratic National Convention. 1958, 1948, 1936. Democratic party. 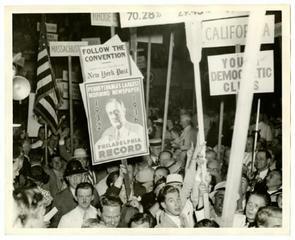 National convention, Philadelphia, and Oliver A. Quayle. 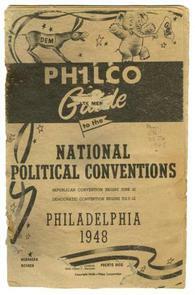 Official Report of the Proceedings of the Democratic National Convention: Held At Philadelphia, Pennsylvania, June 23rd to June 27th, Inclusive, 1936, Resulting in the Re-nomination of Franklin D. Roosevelt (of New York) for President and John N. Garner (of Texas) for Vice-president. Washington, 1936. 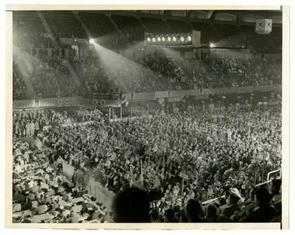 Hamby, Alonso M. "1948 Democratic Convention." History, Travel, Arts, Science, People, Places | Smithsonian. Smithsonian Museum, Aug. 2008. Web. 11 July 2016.